This week our «My Creation» series catches up with Sherri-Lyn Smith – or as you probably know her in the TES community, Shezrie. 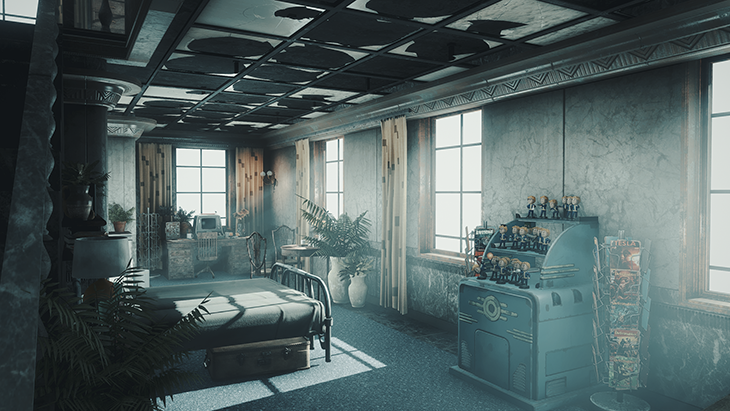 Whether it’s Skyrim, Oblivion, or Fallout, Shezrie’s mods generally focus on creating memorable homes for players. You’re known in the modding community for building homes. Where did that passion come from? As a child I lived in so many different houses in many different countries. To me moving to a new house was exciting and always an adventure. I think a lot of my love of houses stems from that. All of my relatives know that if they are looking to buy or rent a home then they have to take me along for the search. Others may find this boring, but I just love checking out houses and imagining how I would decorate the place and what it would be like to live there. I still mod houses but have now moved onto creating towns for the most part. A lot of inspiration to do so came not only from my desire to expand my modding, but also from when I moved to Southern France and was surrounded by the most picturesque medieval villages imaginable. I fell in love with the quaint town squares, colorful medieval buildings and narrow alley ways, and that inspired me so much. What is it that you like about creating towns? From a modding perspective, with towns I can invent an entire community and actually create the history and character of the town. I can get involved in every minute detail of the buildings, shops and characters and really get creative with it all. With town modding you need to be a jack of all trades and at least have a basic knowledge of AI, NPC creation, scripting, texturing, altering meshes, dialogue, quests, creating new world spaces, voice acting…the list is pretty endless. But it has me constantly learning new things and that is what keeps it all challenging and interesting. I now have an absolute fascination with scenes and what can be done through scenes in the Creation Kit. I love that I can construct whole stories and bring my created characters to life. I always challenge myself to see just how much more ‘lifelike’ I can make characters and the interaction between characters. I have created many scenes between residents in my town mod, but wanted to take that further and tell full stories, rather than just the odd interaction. So I expanded into making videos using my town and its characters as a base and using scenes to convey a full story. Of the various projects you’ve uploaded, are there any you’re particularly fond of that you’d recommend players check out first? I would have to say my Old Hroldan Town mod is the one I am most fond of, mostly for how much time and effort I have poured into creating its background, inhabitants and stories. It is definitely the most complex mod I have done, offers the most unique content and is the mod that I have had the most fun creating. Is it exciting for you to know that a larger base of Elder Scrolls fans will have an opportunity try out your mods? When I heard that console folks would be able to use mods I was really excited, both for them and for us. For us mod authors it opens up a whole new audience to share our work with and breathes new life into the modding scene. So I very much looked forward to it as I was sure it would reignite the Skyrim modding scene in particular, and I felt far from finished with Skyrim modding. In fact I felt that I was just beginning to reach my stride with it. For console players, do you have any recommendations/tips on how to best provide feedback on projects? The most important thing is to be polite; no one wants to deal with or should have to deal with rudeness. Allow a reasonable amount of time for the mod author to reply. This is not a job and mod authors have real-life jobs and families to attend to as well. Provide as much information about the issue as possible. Short statements like ‘this mod crashes my game’ gives the mod author nothing to go on in tracking down the issue and therefore they cannot help you. Detailed information and (if possible) a screenshot can be extremely helpful. 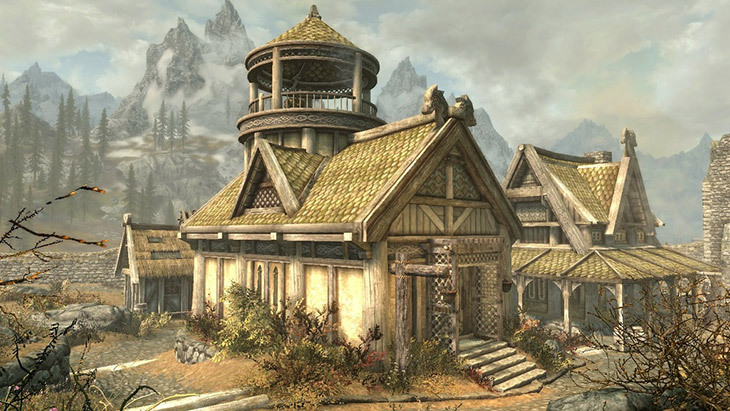 With a new version of the Creation Kit for Skyrim, are you working on any new projects? Right now I am mostly working on getting my current mods up to scratch in Skyrim Special Edition, but once that is all done I have quite a few plans. I would like to expand on my Hearthfire Kitchens and Greenhouses mods by creating other rooms to give people even more flexibility with the Hearthfire houses. But I am going to start by creating a completely custom large inn with a murder mystery quest. 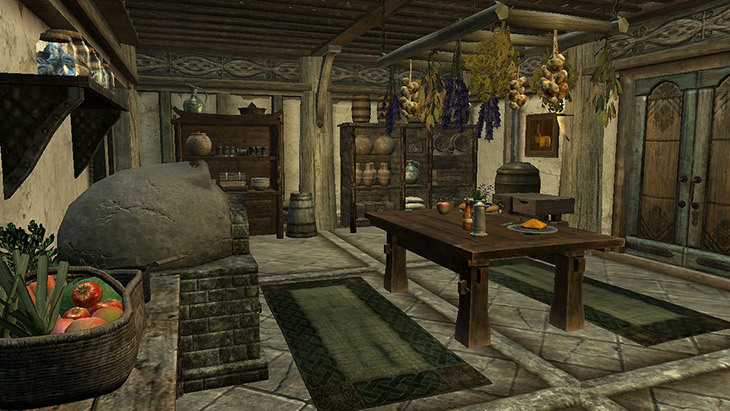 The player will be able to buy an apartment in the inn so it will double as a player home. 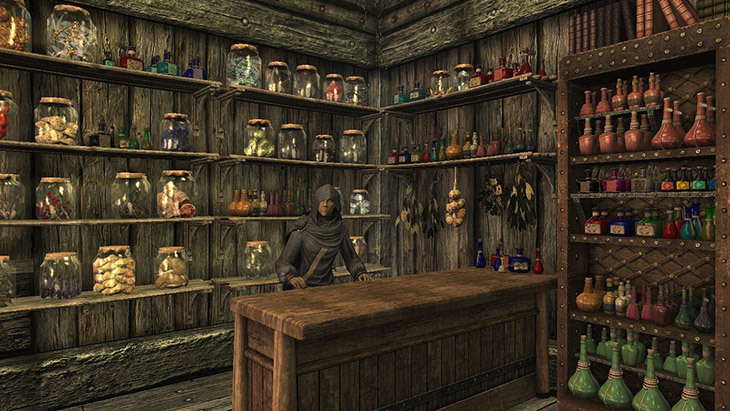 I would like the inn to be completely immersive with the quirky staff and residents having as much voice acting as possible. With just ten or less NPCs to voice I’ll be able to pour a lot more into their characters then I was able to with the thirty voiced characters in Old Hroldan Town. Once that’s done and released, I’ll probably not be able to help myself and will build a town around the inn. For fans looking to get started with working on Mods, what would you recommend? I learned by downloading small house mods, opening them up in the Construction Set and tearing everything apart to figure out how it all fits together. While I still highly recommend that archaic approach, there are now a lot of fantastic video tutorials on YouTube to make things easier and take you through learning the Creation Kit step by step. The Creation Kit Wiki is an excellent resource for learning and for quick reference. Start small. It really is key to sticking with it and not quitting in frustration. Starting with something small such as a basic house is an achievable goal. You then have something to show for your efforts in a short time and that will motivate and drive you onto creating something else and onto bigger and better things. It takes a good deal of time and dedication to learn to mod, but it is so worth it and over the years so many of the skills that I have learned through modding have actually flowed over into my regular life. Time management, project management, organization, ability to commit and see a project through to the end, even customer service, managing people, problem solving and confidence. You are not wasting your time learning to mod, you are building your skill set and confidence. All skills that also contribute tremendously in the regular work and home environments.